PRODUCT: 3M #1100 SOFT FOAM TAPERED UNCORDED DISPOSABLE EAR PLUGS, NRR29dB, ONE PAIR PER INDIVIDUAL POLY BAG. 200 PAIR/BOX. PRICE/BOX. 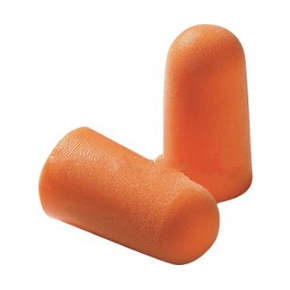 These ear plugs have a smooth and dirt resistant surface for better hygiene. The tapered design better fits the ear canal and provide added comfort. Bright orange color for visibility. Soft Foam Un-corded Ear Plugs, NRR 32dB. 1-Pair/Poly Bag. 200 Pair/Box. Price/Box.